Gear up for an RPG Adventure! 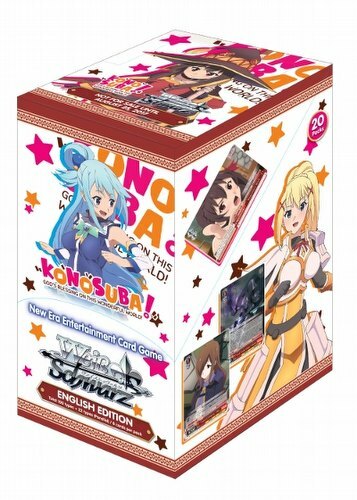 Kazuma, Aqua, Megumin and Darkness have entered the Weiss Schwarz battlefield in the new Konosuba - God's blessing on this wonderful world set. Featuring all the episodes of the 1st season of the anime, players can collect characters not available in the Trial Deck+. Look for randomly inserted SP Gold Foil/Hot Stamp signed cards from the following Japanese voice cast - Agua (Sora Amamiya), Megumin (Rie Takahashi), and Darkness (Ai Kayano). There are 100 cards in the set plus 16 parallels.